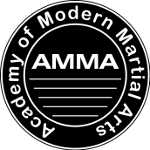 All of the Instructors and assistants at the Academy of Modern Martial Arts are members of our leadership team. Each person has been selected for their excellent level of skill and their ability to communicate with care and integrity. All of our instructors and assistants are martial artists with at least multiple years of training in our system and each one knows exactly what students need to succeed. Our instructors and assistants participate regularly scheduled ongoing training. The leadership team trains as martial artists themselves and train additionally specifically as instructors. This constant training and refinement helps to ensure that our students receive the highest quality instruction available. Here is a small sampling of the instructors and assistants that you will meet at the Academy.